Mr Rooter Tip Of The Day: Expert plumbing advice from the trusted Pittsburgh plumber, Mr Rooter. 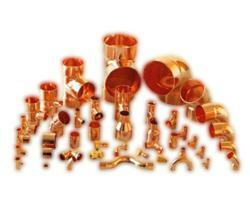 Repairing copper or CPVC and PEX pipe is something the homeowner can do easily. The problem with CPVC, especially a section that has frozen, is a hairline split you don’t see. So look closely. “Copper sometimes gets dented or kinked,” according to expert plumbing advice provided by Bob Beall, Mr Rooter Plumbing Pittsburgh. “After it’s installed, it can split when frozen,” says Beall. Fixing the pipe means cutting out the damaged section and replacing it, according to the most referred and trusted Pittsburgh plumber. “The key to this process is to cut on either side of the area needing the repair. The procedure in this Mr Rooter daily tip uses push-on fittings, but of course, a homeowner can install soldered copper couplings if preferred,” says Mr Rooter. Tip #1 The pipe must be perfectly round to accept a new fitting. Make sure you mark the cut at a section where it’s not damaged. Tip #2 A hacksaw can be used to cut the copper, but it leaves jagged edges so the copper pipe will need to be filed down. A tubing cutter makes cleaner cuts. Tip #3 Make sure to cut perpendicular to the pipe so it’s square o the end. Smooth the inside of the pipe with the reamer on the cutter. Using new copper, cut a piece equal to or slightly shorter than the damaged one. Tip #4 Be sure to subtract for any length that will be taken up by the couplings. Insert the replacement pipe into two push-on fittings. TRADE SECRET: The most common error made when repairing damaged pipe is not cutting far enough away from both sides of the damage. Be sure to cut the pipe where it makes a perfect circle so the fitting will seat properly. On to repairing CPVC pipe next. “Both copper and PEX can take a mild freeze. CPVC cannot,” explains Beall, master plumber of Southwest Pennsylvania and Northeast Ohio’s largest plumbing franchise in the world, Mr Rooter. When water freezes inside CPVC pipe, most likely the homeowner will be dealing with a burst pipe. CPVC frozen pipe repair from Mr Rooter PlumbingAs with other pipes, according to Beall, it will be necessary to cut out the damaged section. Be sure to make your cuts far enough away on either side of the damage so you’re working with perfect non-cracked pipe edges. “Push-on fittings make the repair easy (and slightly more expensive than gluing CPVC couplings), but are especially helpful if you’re working in a location where it’s hard to get the fittings on or you don’t want to wait for the glue to dry,” says Beall. Using CPVC glue and couplings take longer, but is cheaper. Tip #1 Mark cut-lines 1-inch or 2-inches beyond the damaged area. Tip #2 Cut CPVC with any fine-toothed blade, but CPVC scissors or a mini-reciprocating saw is the best. Tip #3 If using the saw, sand any sharp edges smooth. Cut a section of a new pipe for the replacement that is the same length or slightly shorter than the piece removed. Tip #4 Be sure to subtract the length required by the couplings. Install the new section with CPVC couplings or push-on fittings.